Art and artifacts can worth big money. Think of da Vinci’s “Mona Lisa,” Edvard Munch’s “The Scream” or any Monet that has recently been on the auction block. Millions of dollars trade hands each year for masterpieces, unique objects, and ancient items. And because these articles from history are worth so much, they are prime targets for theft. Fortunately, there are numerous agencies that are continually on the hunt for stolen art and artifacts. At the beginning of July 2018, artifacts worth over €40 million ($46.6 million) were retrieved in a number of raids across Europe, under the auspices of the European Law Enforcement Agency. After a four-year-long investigation, more than 250 police officers in the UK, Germany, Italy and Spain carried out the raids. The operation was led by the Italian military police – the Carabinieri – and supported by the British Metropolitan police, the German LKA of Baden-Württemberg, and the Spanish Guardia Civil. In total, 43 suspects were detained under suspicion of being behind the trafficking of stolen artifacts, which are believed to have been originally excavated in Italy before being sold at auction houses in Germany. In order to sell them at auction, however, the items were given fake certificates of origin and passed off as having been legitimately acquired. In all, over 250,000 items were recovered by police including coins, statues, pottery, and many fake items. Police also recovered excavation tools including metal detectors and cash. 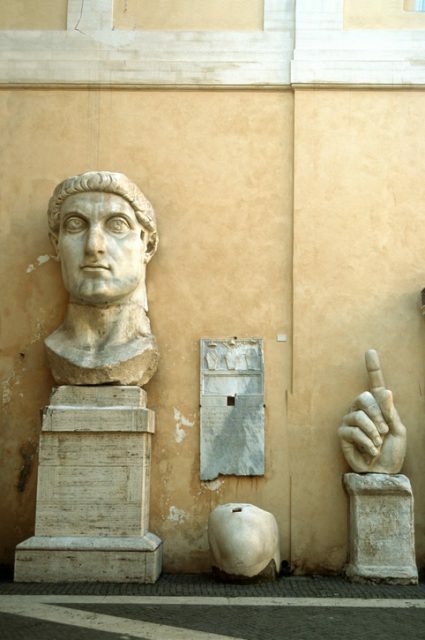 The case is believed to be the largest involving illegal extraction of Italian archaeological objects. Europol reports that thousands of illegally excavated artifacts were seized during the coordinated raids. These were not the only raids recently, however. 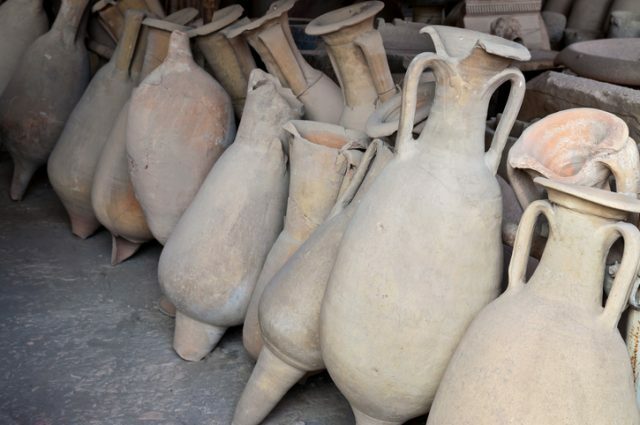 Just prior to the “action day,” Italian police confiscated around 3,000 archaeological items and 1,200 fakes. And at the end of 2017, another 41,000 objects were recovered, including paintings, musical instruments, furniture, sculptures and ancient weapons. One ivory carving of Jesus Christ was valued at €6,000, or about $7,400. These winter raids again involved significant international cooperation and coordination, with police and customs officers from over 81 countries taking part – a noteworthy undertaking in itself. 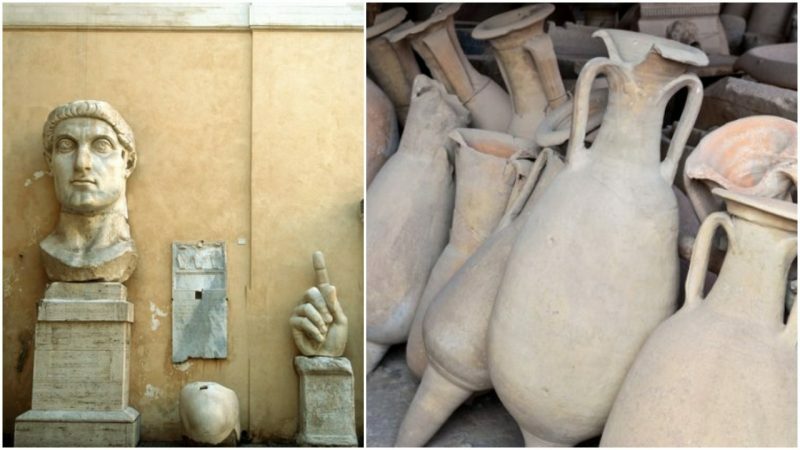 With suitcases and other baggage being monitored by customs officials, police examining websites and online “chatter,” and guides at historic sites being on alert at all times, one would think that it would be difficult to successfully steal archaeological items. Anyone who has been to the Parthenon in Athens has surely experienced being hollered at for simply picking up a pebble, let alone pocketing it. And yet, pieces are stolen regularly. Some are recovered, as evidenced in the aforementioned raids, but not all. Ironically, once a famous “priceless” piece has been stolen, it actually becomes worthless, since it is impossible to sell it unless the buyer wishes to never display that piece of art for which they paid so much. And hiding it kind of takes the joy away from owning any piece of art. 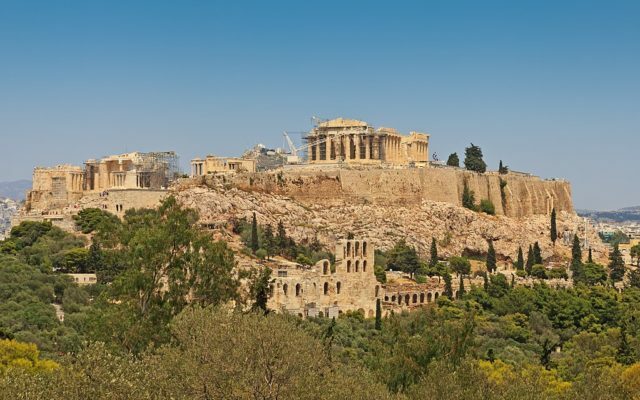 6 World famous landmarks that are hiding something from the public. Then there is the question of those items that have been acquired in an unscrupulous manner, or in a different era, and now reside in museums. Take the Elgin Marbles, for example. The relief sculptures once adorned the Acropolis in Athens. They were removed from Greece by the 7th Earl of Elgin, Thomas Bruce, in the early 1800s, and currently reside in the British Museum in London, England. The repatriation of these items to Greece is hotly contested by archaeologists and historians alike, and has been for years. It will not likely be resolved any time soon, however. Indeed, the topic of repatriation of artifacts as a whole can be a difficult one for museums to broach, and yet it remains critically important to the public trust on which museums rely. Many museums, such as the Canadian Museum of History and the Canadian War Museum, work directly with indigenous populations to discuss and facilitate the repatriation of aboriginal items, particularly in reference to human remains. In some cases, museums are given permission to be the “caretakers” of indigenous items, which in turn serve to educate the general public and help visitors realize that all objects have history.